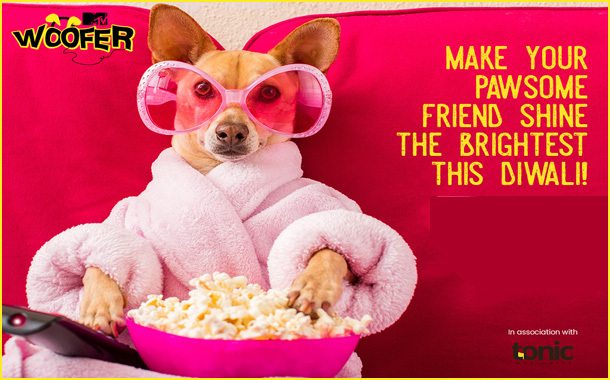 Mumbai : This Diwali, MTV, India’s No.1 Youth Brand brings ‘MTV Woofer’, a special music show designed for our furry friends from 6th November to 10th November, from 12:30AM to 1AM. The music will also be available on MTV India Facebook page starting today. The agency partner on this initiative is Tonic Worldwide – an independent digital agency. MTV Woofer brings together the creative expertise of the young, talented musicians- Sidharth Basrur, Winit Tikoo and Sid Coutto. With 24 minutes of impeccable tunes that has required weeks of research and trial with special low-level beats and rhythm. The trials have conclusively proven that the tunes have a soothing effect on the pets. This Diwali, rejoice to the tunes of #MTVWoofer with pooch buddies, starting today the music will be available on MTV India Facebook Page and on TV Screens from 6th November to 10th November, from 12:30AM to 1AM.